The Cooley Peninsula is the perfect location to discover the outdoors on foot with fabulous scenery and walks for all abilities. The new Greenway between Carlingford and Omeath is a very welcome addition to the many attractions on the Cooley Peninsula. The Greenway is an outstanding amenity, the 6.2km greenway cycle & walking path from Omeath to Carlingford follows the route of the old DN&G Railway line between the Carlingford Marina and Griers Quay continuing on to the village of Omeath. This new Greenway provides cyclists and walkers with a safe track midst the most spectacular views along the scenic coast of Carlingford Lough. Loop walks are located in and around Medieval Carlingford, Grange, Rockmarshall. A longer looped walk “The Tain Way” can begin in Ravensdale Woods, Ballymakellet, Omeath or Carlingford (which traverses the Cooley Peninsula mountain trails & roads). 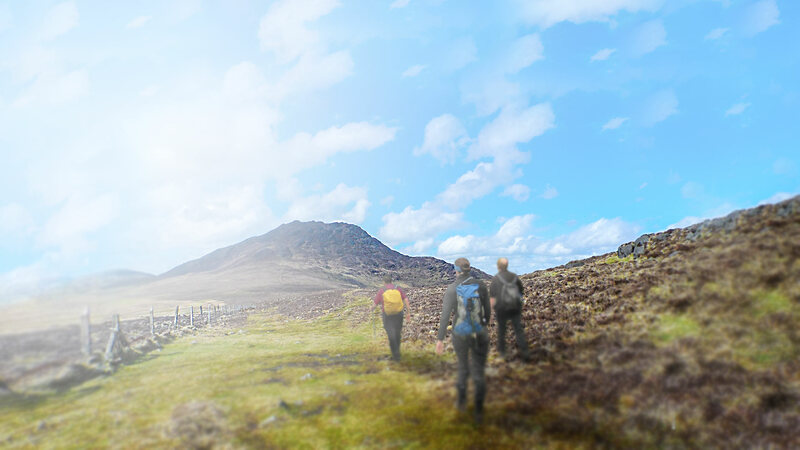 All of the loop walks offer walkers the opportunity to enjoy the spectacular surroundings, natural beauty and heritage that is abundant throughout the Cooley Peninsula. These looped routes are designed to suit average levels of fitness and are well serviced, catering for the occasional and leisure walker. This loop has a number of starting and finishing possibilities. 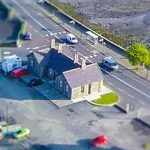 Carlingford – The medieval village of Carlingford is a delight to stroll around with its shops, restaurants, coffee shops, traditional pubs and craft shops – Self Guided Tour of Carlingford details. Carlingford and the surrounding areas are a haven for walkers of all fitness levels, with offerings of leisurely walks such as the above looped walks and the new Omeath to Carlingford Greenway..
People who visit the any of the mountain walks for recreation are asked not to bring dogs (even on a lead) onto the hills, to close gates, respect property and to minimise the impact of their activities on farmer’s livelihoods. Sheep are very vulnerable if chased or worried by dogs, The presence of a dog, even on a leash can be distressing to sheep.